International Student Workshop on Energy and Environment (ISWEE) 2018, the first and the biggest international student workshop held by IMATEK FT Universitas Sriwijaya in 2018. ISWEE is a forum for chemical engineering students who are interested and/or working in education, research and the field of energy and the environment. 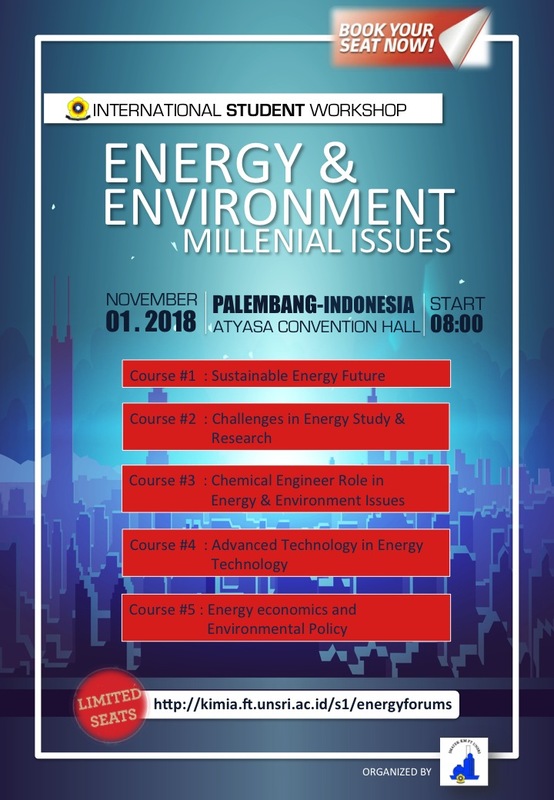 The theme of the workshop will be Energy and Environmental Millenial Issues. ISWEE 2008 will be attended by various undergraduate, master and doctoral students as well as researchers from various institutes in the world. This offer is only valid until 24 September 2018 only. Seats are limited. Do the online early registration https://bit.ly/2wSHnFJ. Save the important things about ISWEE2018.